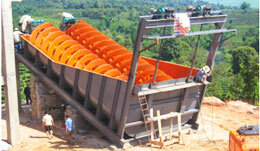 Cone crusher, jaw crusher, impact crusher and centrifugal crusher are often used in iron ore crushing. The most suitable conditions for iron ore with different physical properties to select crusher is determined according to the practical experience of crushing: cone crusher is used for magnetic iron ore, hematite, and spathic iron ore, all of which are with high hardness, or when the enterprise is of great production capacity, jaw crusher is used for magnetic iron ore, hematite, and spathic iron ore in medium-sized company, all of wich are with medium hardness. Centrifugal crusher is mainly used for limonite iron ore.
Iron ore crushing process is classified into first stage crushing and second stage crushing, also called secondary crushing and fine crushing. Pre-screening is included in secondary crushing, which can significantly increase the production capacity of crusher and improve the working conditions for iron ore crusher. Screening is usually carried on according to final granularity, the products after screening fall down to belt conveyer, which can also prevent belt conveyer from impact of large ore. 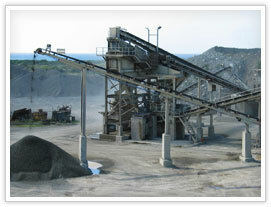 The most commonly used equipment is jaw crusher. Fine crushing is the final procedure of crushing, the iron ore that obtained from fine crushing is directly supplied to iron ore mill equipment(Please click here to review ore mill equipment ). 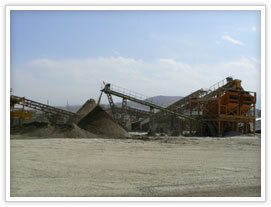 The most commonly used crushing equipments in this procedure are impact crusher and cone crusher. Iron ores are abundant in variety, iron ores with different material should select different iron ore production line disposition. We can supply different iron ore crushing production line from 40t to 100t per hour per on customer’s different requirement of iron ore equipment output. 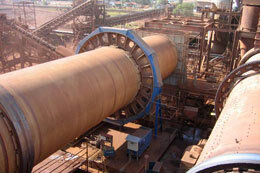 If you have any questions or demand for iron ore production line, please click here, welcome online contact us.